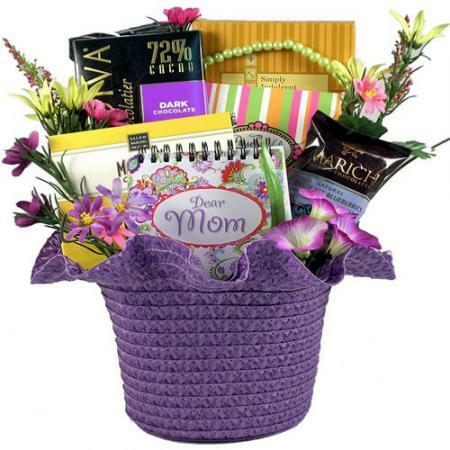 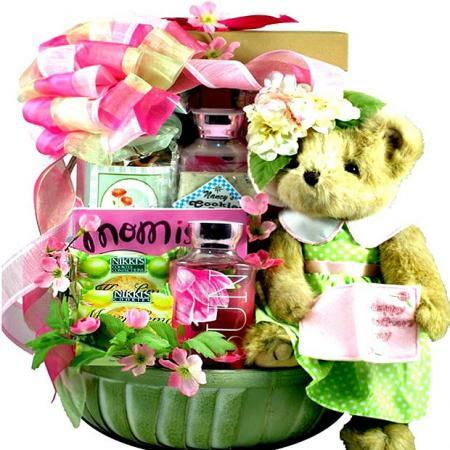 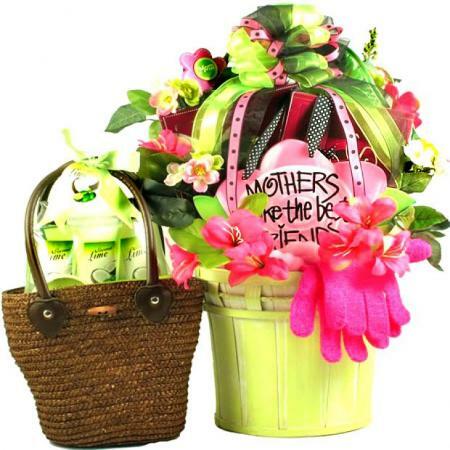 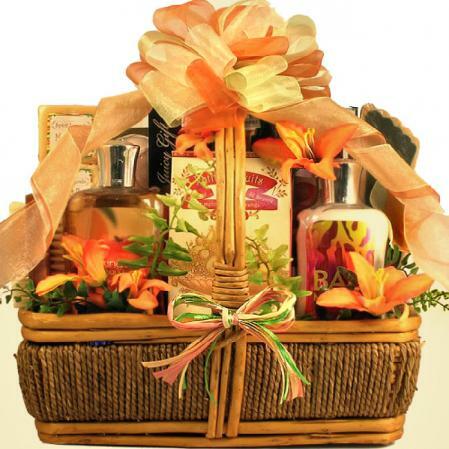 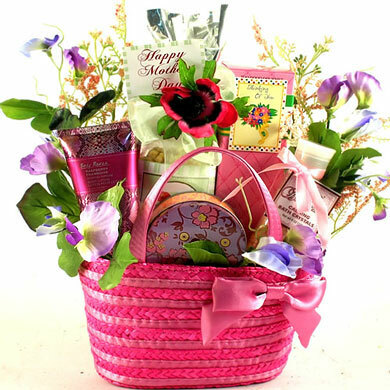 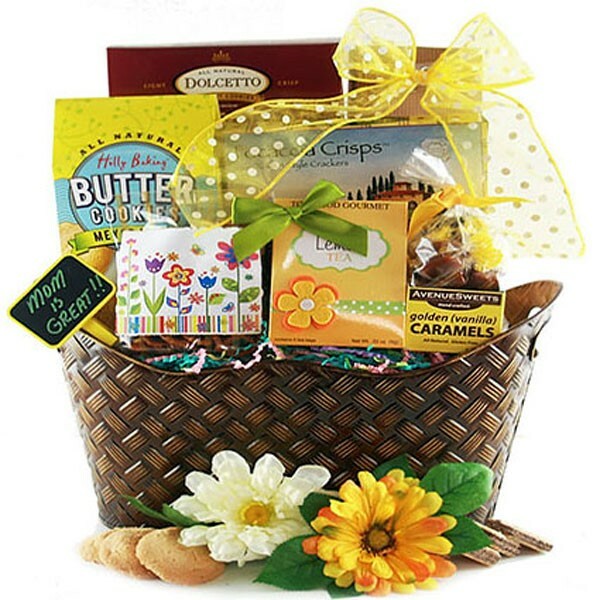 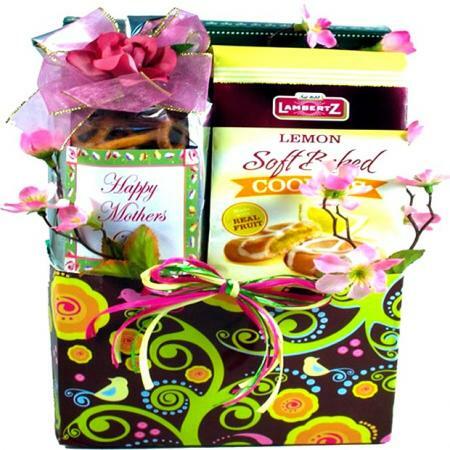 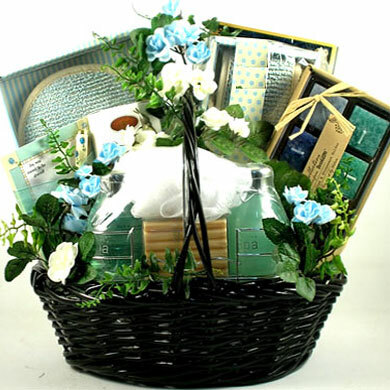 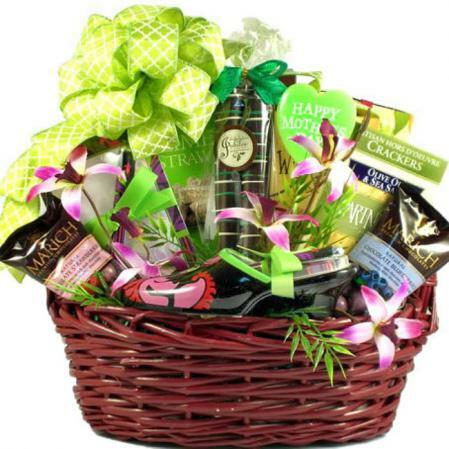 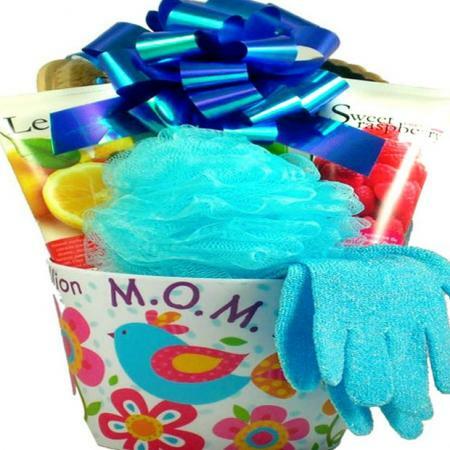 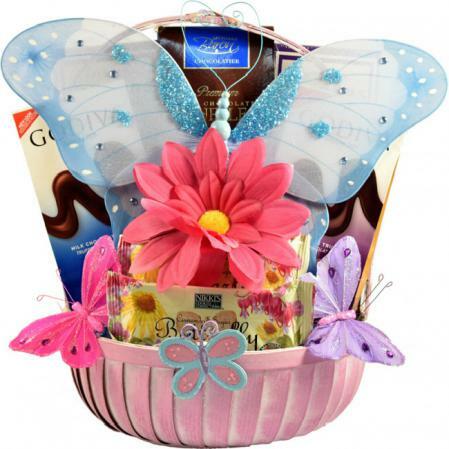 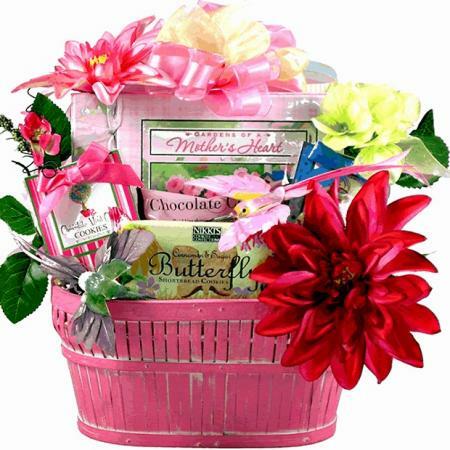 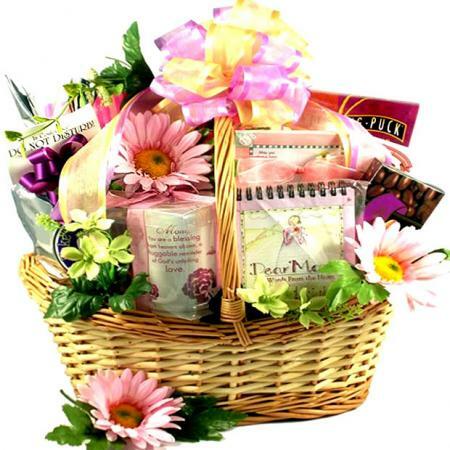 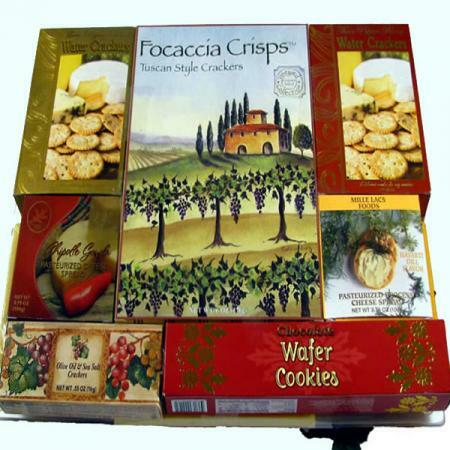 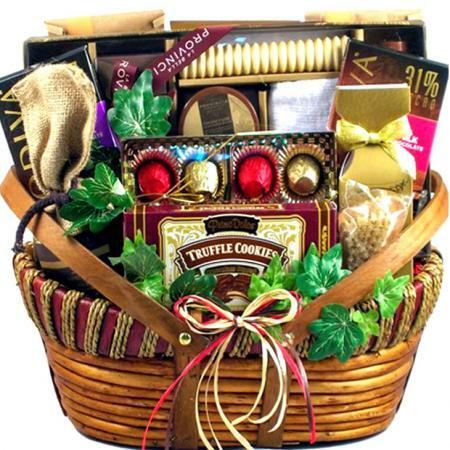 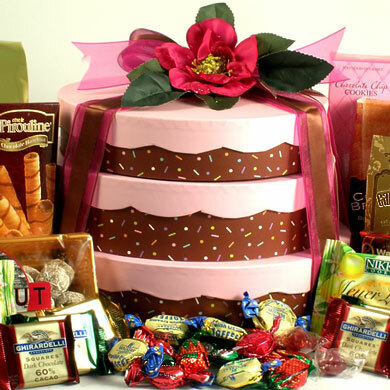 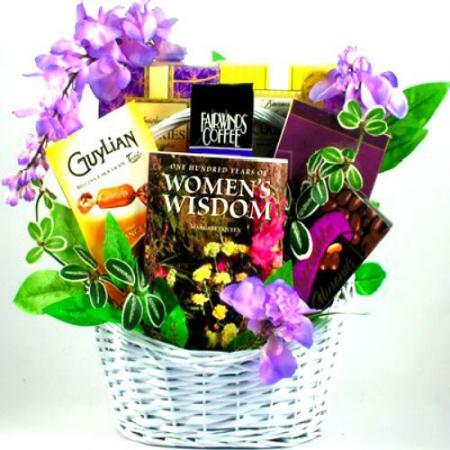 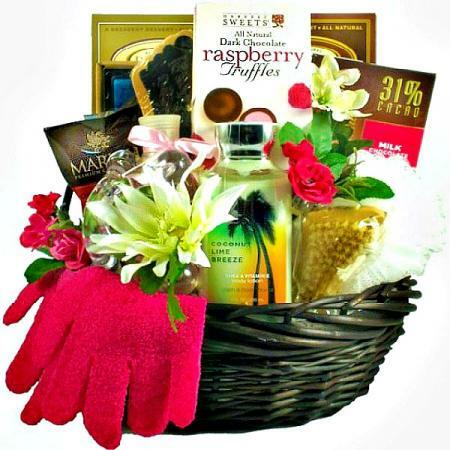 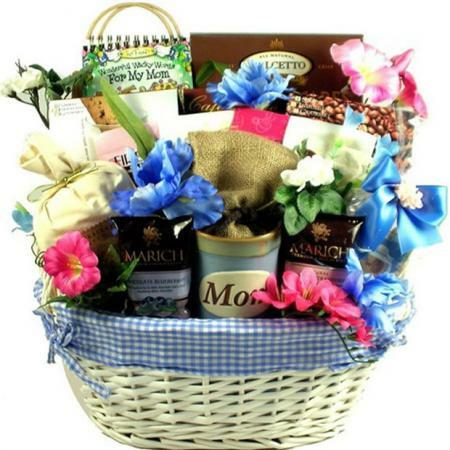 This sweet and savory Mother's Day gourmet gift basket arrives overflowing with a delicious assortment of gourmet foods to show Mom how much care. 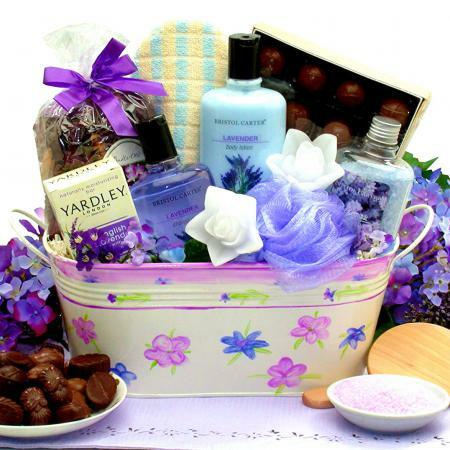 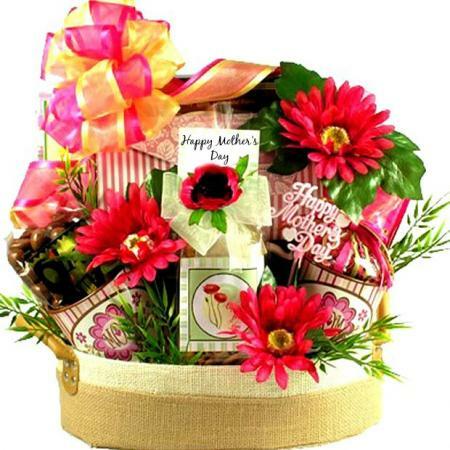 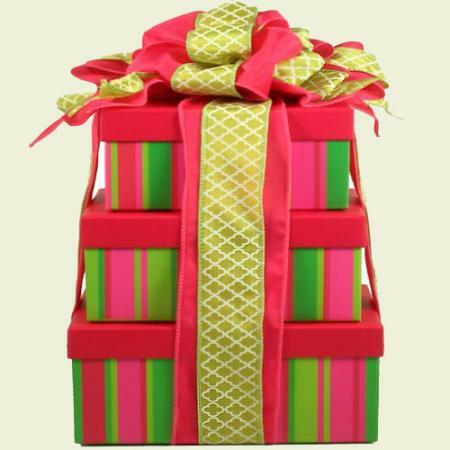 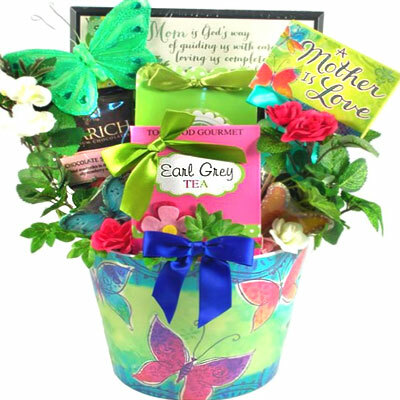 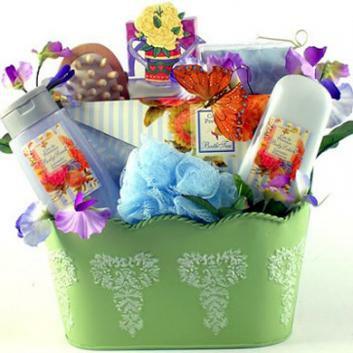 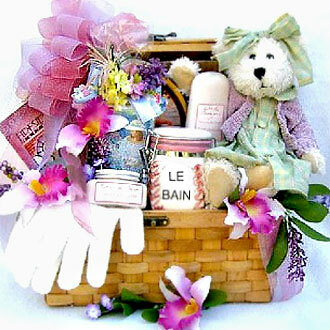 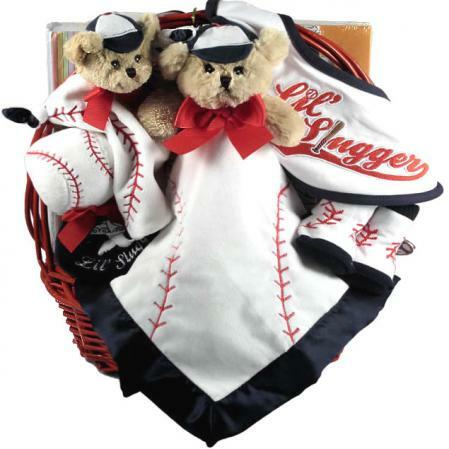 This Mother’s Day send Mom a special treat to thank her for her unconditional love and support. 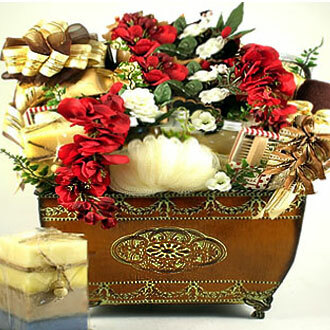 This gorgeous metal planter is boasting with a savory assortment of cookies, crackers, and tea.